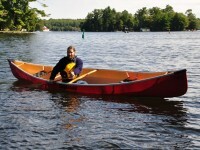 I was introduced to canoeing with my brother’s cedar strip and canvas canoe made by the Lakefield Canoe Company. 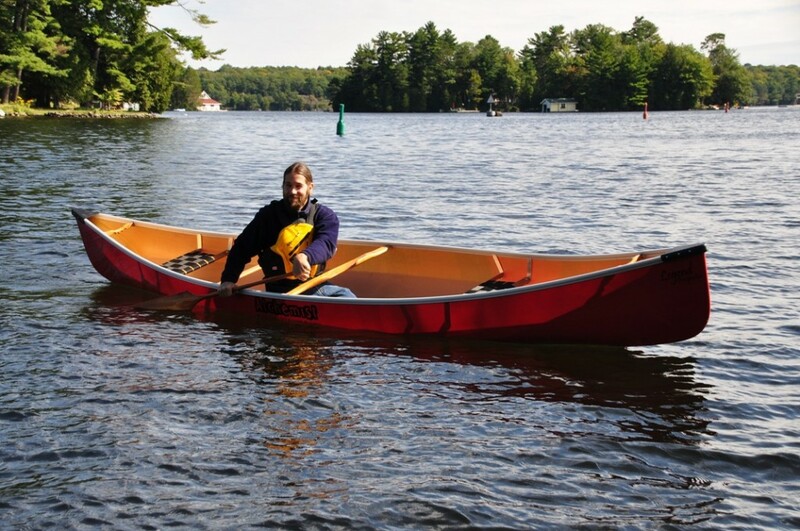 While still in university I bought my first canoe – a “Sundance” from Muskoka Canoe Ltd. in Gravenhurst. The 15’ 3” cedar canvas canoe was made to be light and weighs only 45 pounds. When my wife Lynn and I bought our cottage on a rocky lake with constantly changing water levels we wisely bought a used aluminum canoe which has effectively allowed us to explore the lake’s rocky shorelines. Recently we decided to get out and explore more of Ontario’s incredible waterways. What we needed was a light canoe that we could easily transport but which also could handle the rougher waters of larger lakes. We checked out numerous canoes both in person and on the internet. Attending shows that featured numerous canoe companies in one place was an efficient and fun way of obtaining the information that we required to make a wise choice. After checking out several canoe companies we decided we liked what we saw with the canoes with the Alchemist Canoe Company in Muskoka. Next, we drove to their Muskoka Paddleshack store located on Lake Muskoka in Bala where we tried out two of their canoes that we thought would best suit our needs. 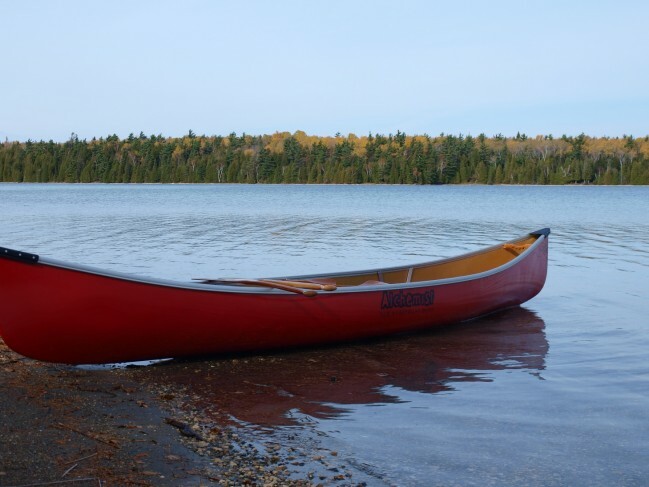 After we had decided on what we thought was the right canoe for us we contacted Jay Mothersill who designs canoes including those in the “Alchemist Family” to obtain more information and describe what we wanted the canoe for and to see if another model might be better for us. After an insightful discussion we were confident that we had made the right choice in selecting the Alchemist Canoe Company’s Legend Prospector 16.7. The Legend Prospector 16.7 has several models. The heavier version (64 pounds) is made of fibreglass while their carbon/kevlar model comes in at 44 pounds. We decided on the 49 pound model made of expedition kevlar because it is quite durable but still light enough for Lynn and I to carry around. 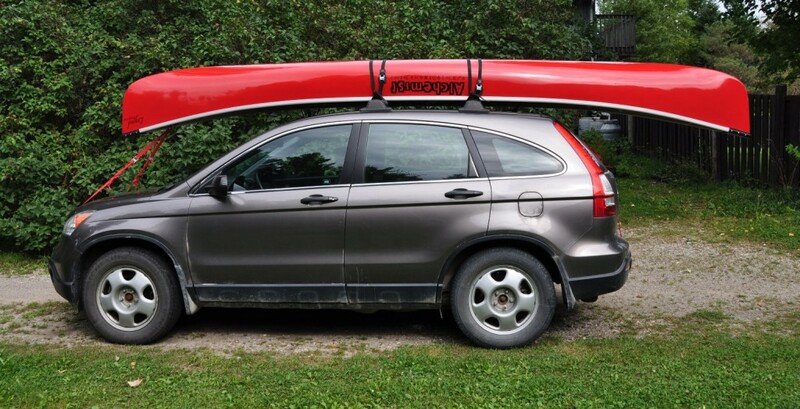 The canoe features aluminum trim along with cherry seats, yoke and thwart. And for a small fee we upgraded the grab handles to cherry. When the canoe was ready we again drove to Muskoka Paddleshack in Bala where we took our new canoe for a paddle before bringing it home. We met with Jay who not only provided good information about canoes and paddles but who also provided some good tips on securing the canoe to the roof of a vehicle. It was late in October when we took our Legend Prospector 16.7 for its official maiden voyage. We chose scenic Cyprus Lake in Bruce Peninsula National Park. 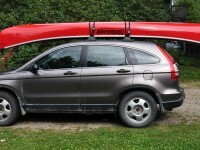 The lightweight canoe was easily lifted from our vehicle and carried to and from the lake. It handled well on the shallow lake and we had a relaxing time paddling the beautiful shores of Cyprus Lake. We are looking forward to exploring numerous lakes and rivers with this canoe in the coming years. 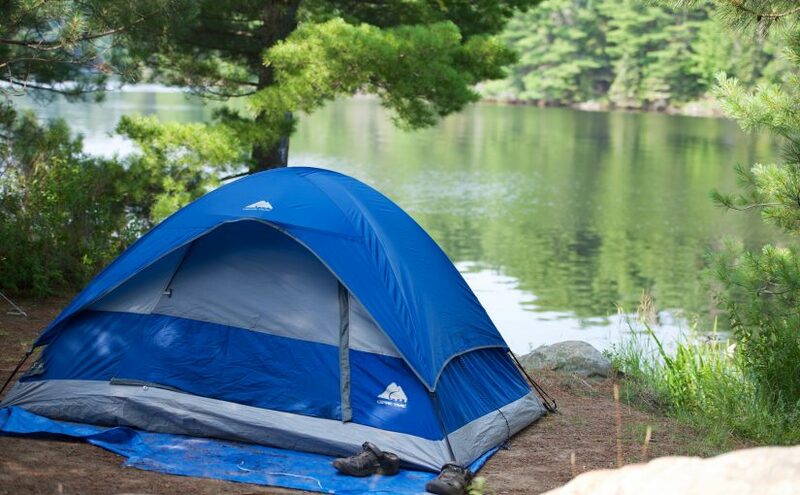 Try tripping through French River Provincial Park. We did 2 years in a row 2001 and 2002. It was fun, and at the time uncontrolled. The bits of whitewater were runnable and the classic Canadian shield Georgian Bay granite was beautiful and challenging to camp on at times. We had a lot to expect as we had spent 2 weeks on the Nahanni the year before.